For a woman who has unexpectedly become pregnant, and possibly for the first time in her life, the most initial symptoms might seem just like another bout of the flu (also known as influenza). 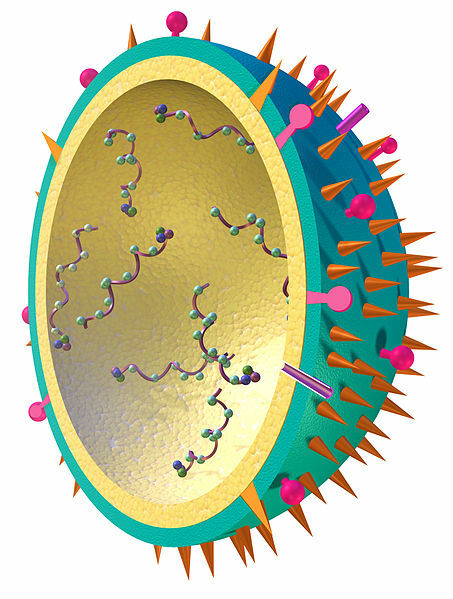 The flu is an infectious disease, viral in origin. It is generally self-limiting and will settle down within a week or so. The flu affects all the systems of the body, whereas pregnancy will have more of gastrointestinal and genitor-urinary affections. The flu starts once a person comes in contact with another person who is suffering from it and it is extremely contagious. The flu is commonly seen in children who have low immunity. Morning sickness (high degree of nausea and vomiting) is the most important symptom of pregnancy. Morning sickness is so called because the nausea is usually most severe in the mornings. It may subside in some patients after the first three months or it may continue up until the last month. It occurs due to a drop in blood sugar levels and an increase in circulating hormones. Nausea generally increases in the mornings, as there is a state of fasting the entire night leading to a dip in the blood glucose levels. Symptoms of the flu are marked by a sudden onset of cold, cough, fever of mild degree and tremendous weakness due to joint pains and muscle pains. With the flu, patients will complain of severe headache and fever, whereas in pregnancy females will have more of a feeling of giddiness and dizziness. The spells occur especially while suddenly getting up from a sleeping position or during or after long hours of working. If the caloric needs are not met during pregnancy, it will lead to spells of such weakness and is seen commonly in females with poor food intake. Flu patients have a reduced appetite due to altered taste sensations and hence face weight loss, but in pregnancy there is a sudden increase in the appetite and weight. It is due to the high energy needed in order to supply adequate nutrition to the growing baby. Flu symptoms will be short term and self-resolving, whereas pregnancy symptoms will be long-term and continue easily for the term of three months at a stretch. In the case of the flu affecting the gastro-intestinal tract, symptoms like diarrhea, cramps and pain in the lower abdomen, a fever and severe nausea and vomiting can be seen. Also, there will be signs of dehydration and fatigue. It should not be confused with morning sickness of pregnancy, as in pregnancy nausea will be present throughout the first three to four months but is intense usually only in the morning, subsiding for the remainder of the day and often is not relieved by medications. Typically, pregnant females have high sensitivity to odors of any kind and that will bring on the wave of nausea. Along with these symptoms, there is presence of tenderness of breasts, bloating of the abdomen, irresistible cravings for various foods, repeated heartburn and hyperacidity, etc. Flu symptoms will be seen in any individual, be it male or female, of any age, whereas pregnancy occurs only in females of between the ages of 14 to 50 years. The flu can be controlled by asking the patient to ingest more fluids, rest and take anti-viral medications if needed. Also, the spread of the virus can be curbed by wearing masks, which will reduce air transfer. A pregnancy can be confirmed by doing a simple home urine pregnancy test or an ultrasound. Summary: The flu is an infectious disease of viral origin causing symptoms like cold, cough, fever, etc. It will only affect after you contract the infection from other individuals, and hence should not be confused with pregnancy symptoms which will begin once conception starts. rachita. "Difference between flu and pregnancy symptoms." DifferenceBetween.net. October 5, 2017 < http://www.differencebetween.net/science/health/disease-health/difference-between-flu-and-pregnancy-symptoms/ >.